Brazil’s Dilma Rousseff begins the week in a stronger place than her country. Last Friday, the embattled president replaced market-approved technocrat Joaquim Levy as finance minister with leftist ally Nelson Barbosa. The shuffle reduces the political odds of Rousseff being impeached. But it suggests a return to the free-spending, statist policies that have made Brazil a global economic basket case. University of Chicago-trained Levy’s job was to stave off a downgrade of Brazil’s credit ratings to junk by international agencies. After Fitch cut them last week, it was unlikely he would stick around: Standard & Poor’s had already done so and Moody’s is reviewing its ratings. But bringing in Barbosa doesn’t build confidence. Rousseff’s former planning minister says he backs fiscal stability and has criticized some aspects of the president’s first-term economic approach. His main benefit is his palatability to Dilma’s support base in the PT (Workers’ Party) and elements of her fractious coalition partner, the PMDB (Brazilian Democratic Movement Party) that opposed the austerity Levy backed. Levy’s original target of a primary budget surplus in 2015 of around 1 pct of GDP is in tatters and the government’s recently trimmed goal of a 0.5 percent fiscal surplus in 2016 is not credible. The central bank’s most recent weekly survey showed expected GDP shrinkage of 3.7 percent this year and 2.8 percent next year. Brazil has reserves of about $370 billion, though, and is not in any short-term danger of default. Much of its debt is denominated in reais, not dollars. Rousseff, though, is in better shape, as a bid by Eduardo Cunha, leader of the lower house of Congress, to impeach her has now been dealt a double whammy. The Supreme Court just ruled that a secret vote used by Cunha to load an impeachment committee with members who want her ousted was invalid. The court also said the Senate, where her support is arguably even stronger with Barbosa’s ascendance, can block impeachment going any further. Turfing Rousseff out of office was never going to solve Brazil’s problems, and noise about impeachment was a distraction from the issues at hand. A further economic downturn may force Rousseff to address long-standing structural concerns such as pension reform even if she doesn’t want to; but only after she has seen off impeachment. With that largely done, it’s time she gets back to work fixing Brazil. 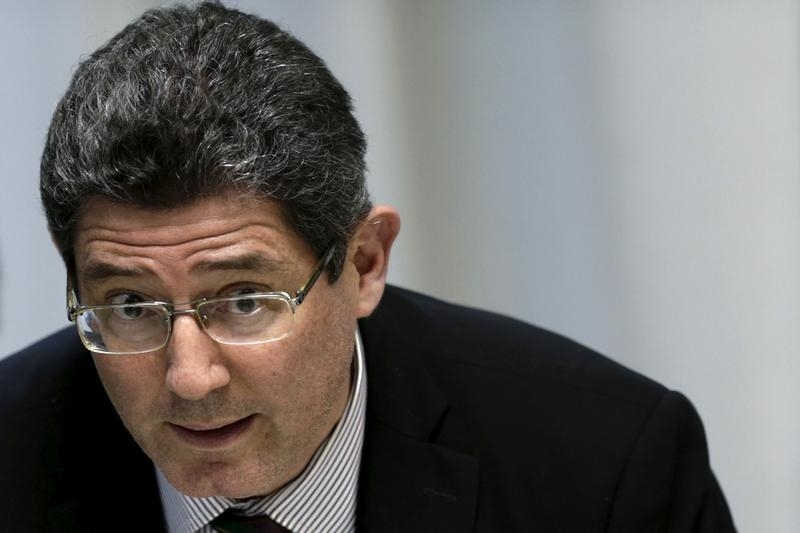 Brazilian President Dilma Rousseff named leftist economist and close aide Nelson Barbosa to replace fiscally conservative Joaquim Levy as finance minister on Dec. 18. The change signals a dramatic break with the deficit-cutting policies her administration has pursued for most of this year. Barbosa, who previously served as the planning minister, has been one of the strongest opponents of an aggressive austerity drive that Levy led in an attempt to regain the confidence of investors in an economy mired in its worst recession in a quarter of a century. Levy’s exit had been expected after Fitch became the second rating agency, following Standard & Poor’s, to strip Latin America’s largest economy of its coveted investment grade.